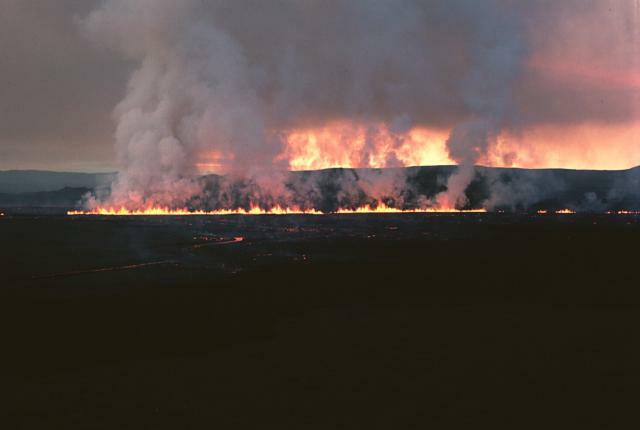 The intrusion of magma into an edifice can produced large fractures, or fissures, that locally become the focus of explosive activity or lava effusion. 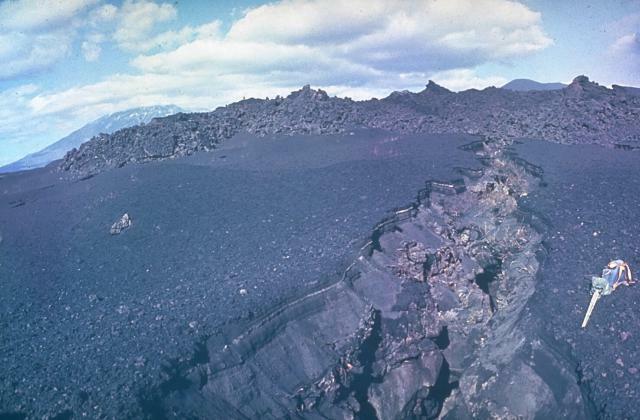 Fissures often extend radially away from the summit and can reach from the upper part of the volcano to its base. 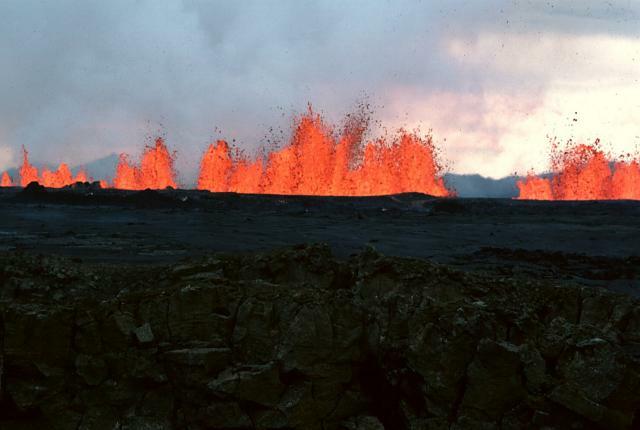 Fissures can also reflect regional tectonic trends independent of the volcanoes themselves, such as in Iceland, where the mid-Atlantic Ridge rises above sea level, or along continental rift zones such as those in eastern Africa. 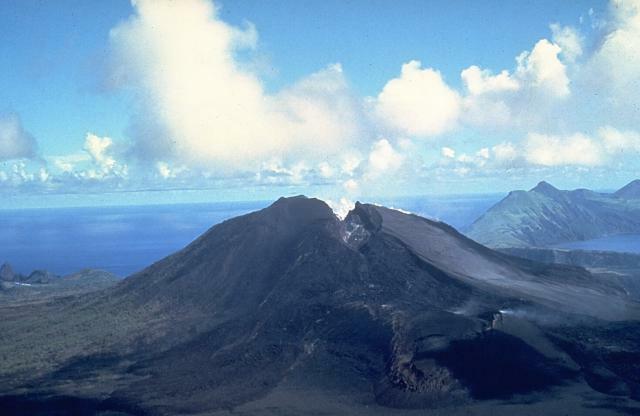 Volcanoes in the Galápagos Islands are notable for circumferential fissures that parallel the rims of large summit calderas. 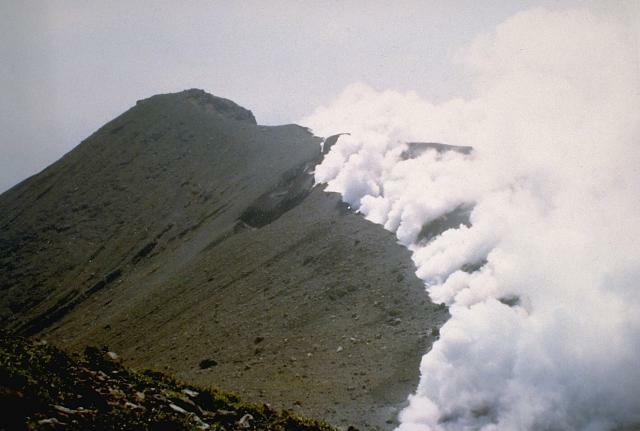 Although explosive eruptions and lava effusion can occur simultaneously over long portions of a fissure, activity often migrates along a fissure and is subsequently localized at a few specific points, where cones or craters can form. 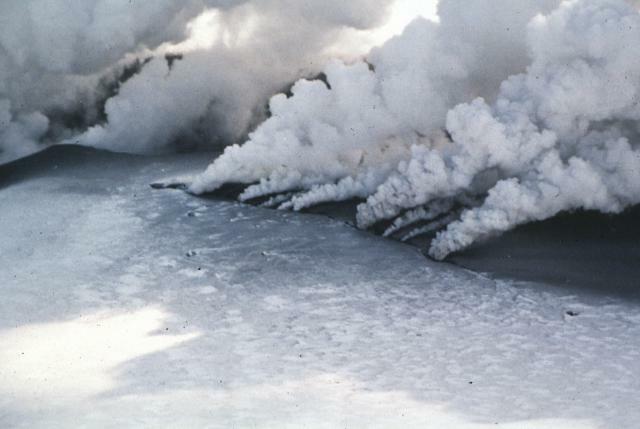 Much larger scale fissures of Tertiary or older age fed voluminous eruptions of lavas known as flood basalts. 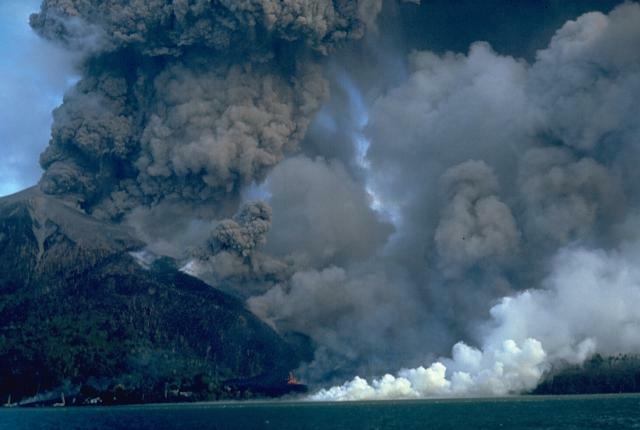 These massive eruptions have produced extensive lava fields covering tens of thousands of square kilometers in both continental areas, such as the Columbia River Plateau in the Pacific Northwest of the U.S. and the Deccan Traps of India, and oceanic areas such as the Ontong-Java Plateau in the SW Pacific. The Deccan Traps and Siberian Traps flood basalt provinces have been linked temporally to major Cretaceous/Tertiary and end-Permian faunal extinctions, respectively.